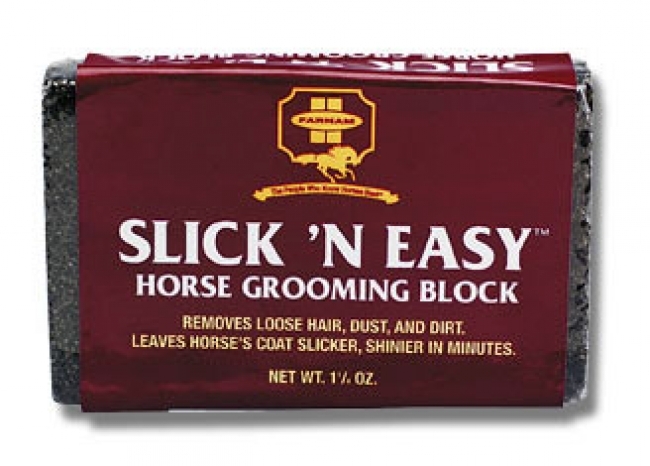 Slick N' Easy Horse Grooming Block. Fiberglass horse grooming block that is the easy, low-cost way to remove horses' loose hair, dust and dirt. Leaves the horse's coat slicker, shinier and well shed-out quickly. 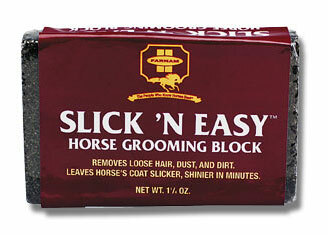 Each Slick 'N Easy grooms 10 - 12 horses. Great for stubborn bot removal.